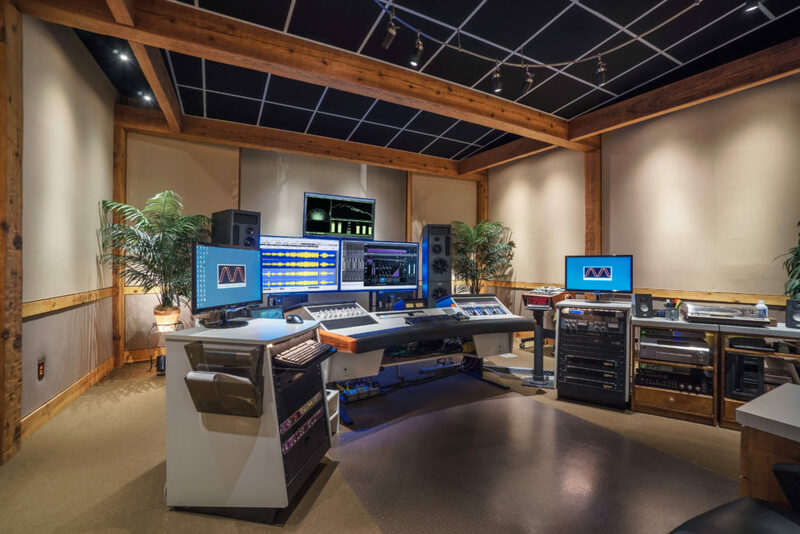 When John Mayfield, owner and founder of Nashville-based Mayfield Mastering, became one of the first studio engineers in the world to install the MB3-XBD-A 3-way active main monitor system from PMC, he knew he had to protect his investment. On the recommendation of PMC USA’s President of Sales and Marketing Maurice Patist, Mayfield turned to to deliver the pristine sound quality these best-in-class speakers are capable of, as well as protect the system from the effects of harmful power events, including power spikes, surges, and lightning. 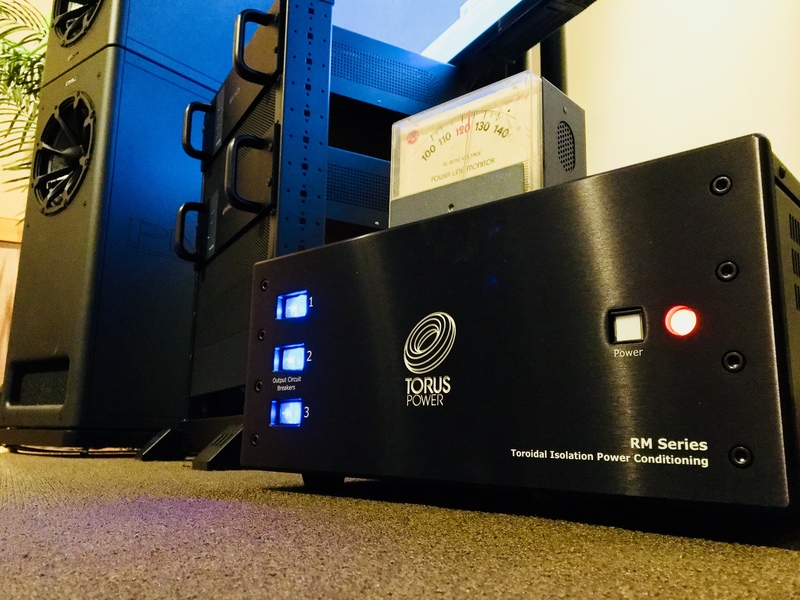 Torus Power RM 45 BAL isolation transformer helps mastering facility deliver pristine, consistent sound to top recording artists while protecting the studio’s investment in high-end equipment. “The PMC MB3 system retails for about $80,000 and is designed to deliver clear and transparent sound, so you want to make sure that every component involved in the system is perfect,” says Mayfield. Patist connected Mayfield with legendary technical engineer Arthur Kelm—CEO of Ground One AV consulting group and VP of Engineering for Capitol Studios—who spent some time listening to the finely tuned room before helping Mayfield select the right Torus Power unit for the application. Kelm suggested the Torus Power RM 45 BAL to power and protect the integrated Class-D amplifiers that are part of the MB3 active system. Working closely with the studio’s electrician, Kelm recommended running a fresh 240-volt feed off the breaker box, through the RM 45 BAL, and feeding that directly into the amplifiers for clean, uninterrupted power. 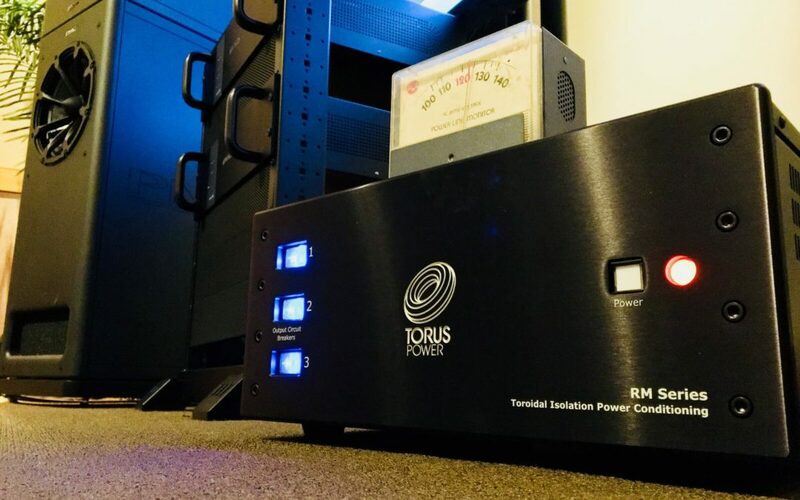 The RM 45 features Torus Power’s proprietary Narrow Bandwidth Technology (NBT) for noise filtering, high instantaneous current capability, and Toroidal Isolation to deliver pure, isolated power regardless of line conditions. It also provides superior protection against power surges and lightning. This last feature was critical in Mayfield’s selection of a Torus Power unit as the building that houses the studio experienced a devastating lightning strike 10 years ago. The resulting power surge destroyed two amplifiers and several other electronic components. “I don’t ever want to be involved in that kind of experience again,” Mayfield says. Although the studio’s equipment is protected, monetarily, by an insurance policy, building the custom PMC units for replacement and having them shipped from England could take months, potentially sending Mayfield’s business to its knees. With a constant flow of big-name recording artists relying on the technology and talent within the Mayfield Mastering studio, the facility simply could not be out of service for any period of time. While the initial impetus for the upgrade revolved around protecting Mayfield’s significant investment in the PMC system, he also sought to preserve the integrity of the masters created in his highly respected studio. John Mayfield has been in the audio industry since 1974 as a recording and mix engineer. He started Mayfield Mastering in 1996, thinking that focusing on the mastering end of the business would allow him to work fewer hours. While that hasn’t been the case, he’s not complaining about the long days. In fact, he seems to be having more fun than ever with his state-of-the-art monitoring system protected and perfected by Torus Power. To learn more about Torus Power visit www.toruspower.com and follow @TorusPower on Twitter and Facebook.